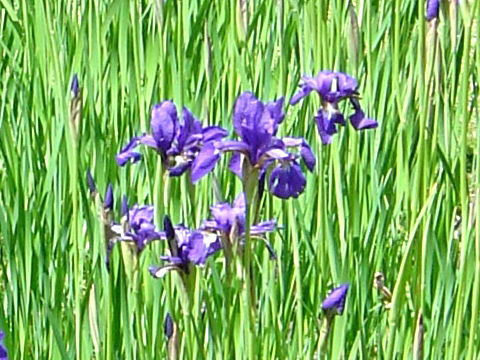 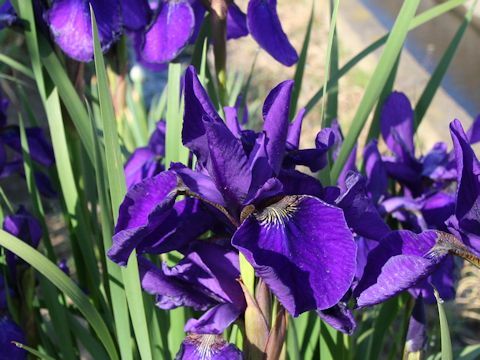 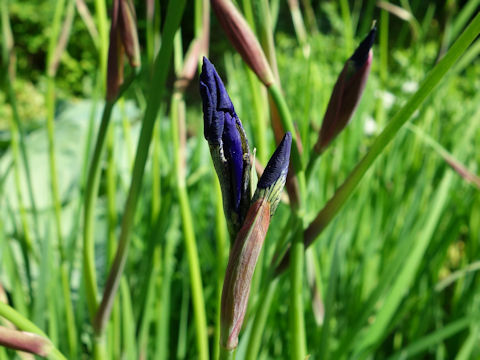 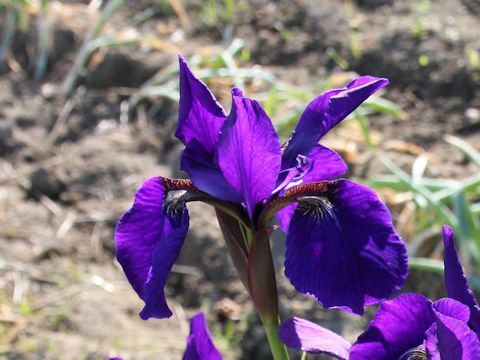 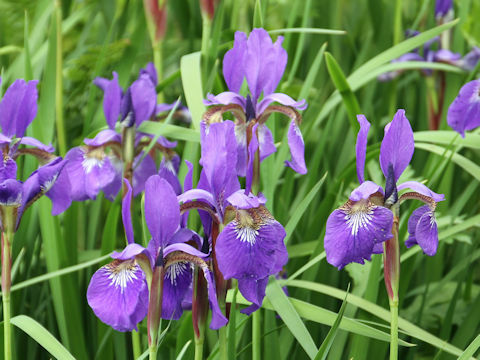 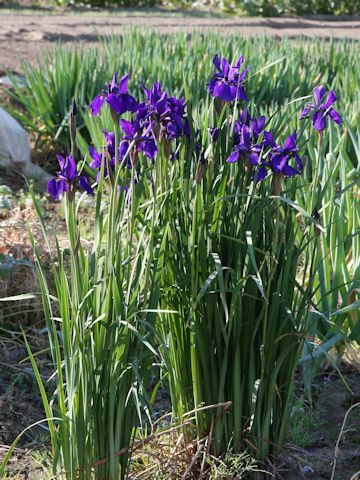 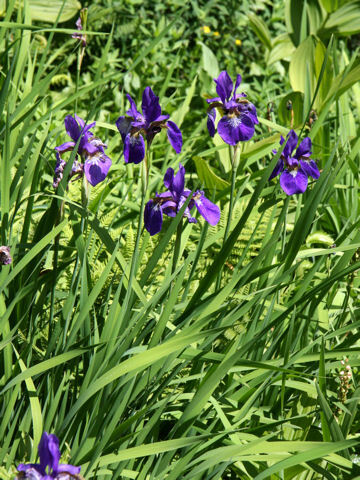 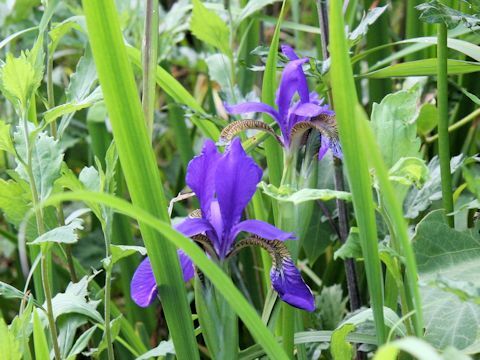 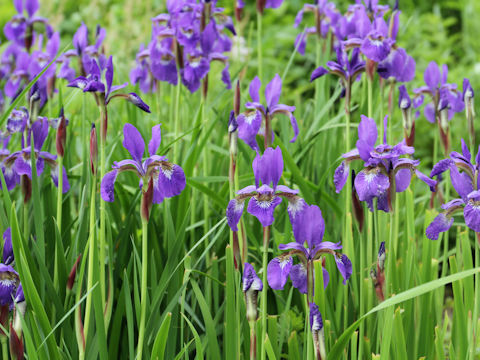 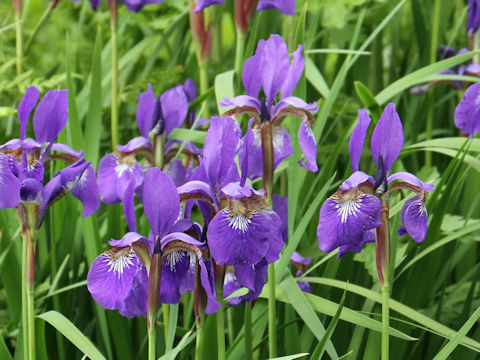 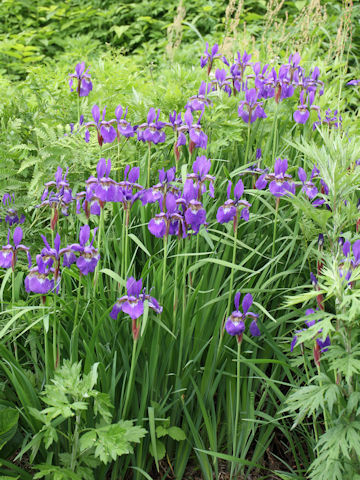 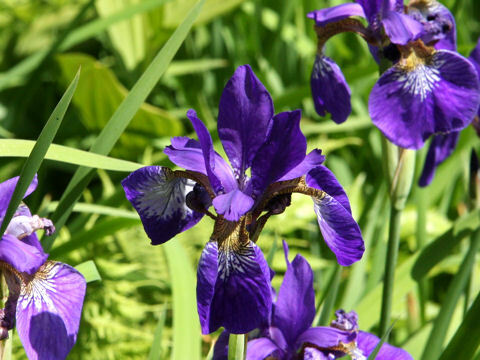 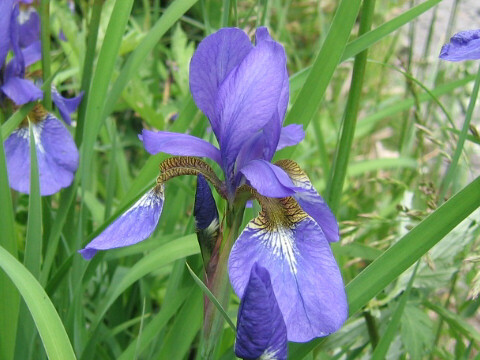 Iris (Iris sanguinea) belongs to the Iridaceae (the Iris family). 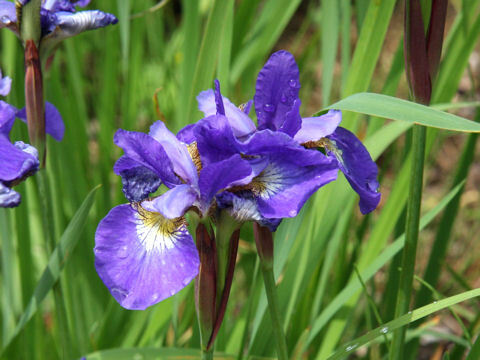 It is a perennial herb that is native to Japan, as well as the Korean Peninsula, northeastern China and Siberia. 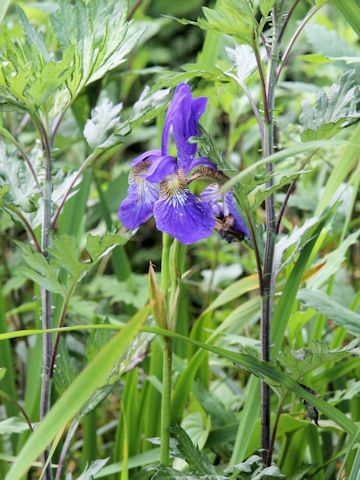 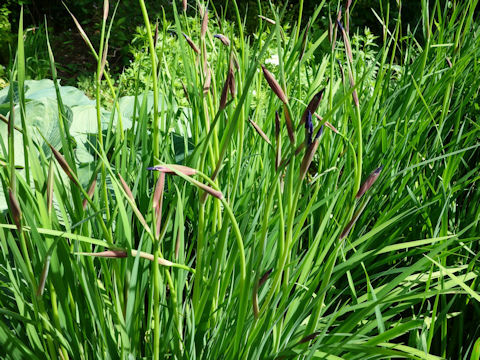 This herb grows in aridish grasslands and can reach 30-60 cm in height. 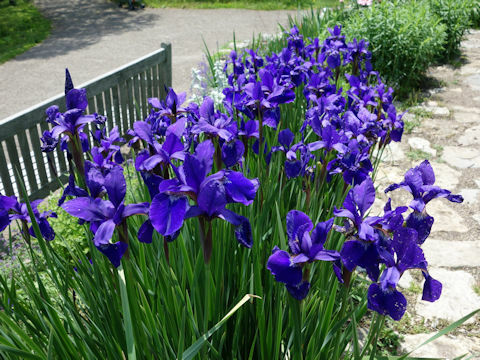 The purple or rarely white flowers bloom from May to July. 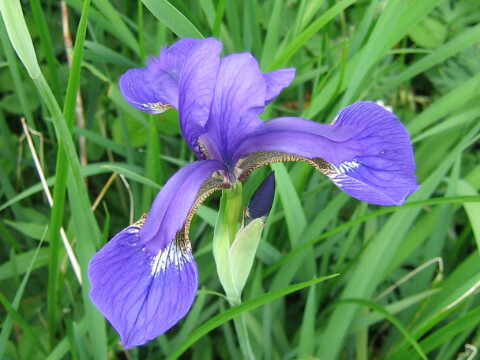 The outer tepals are large, drooping and have yellow nectar guides and purple netted patches on the bases. 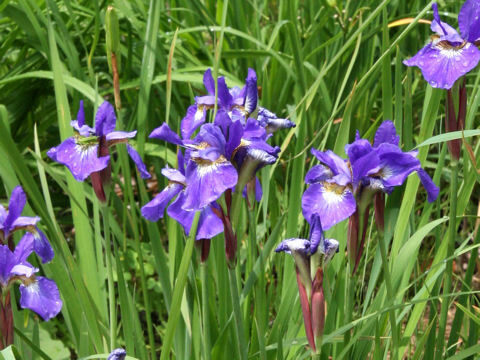 The inner tepals are small and erect.